The post Wynn Executives Concealed Sexual Misconduct Allegations against Steve Wynn appeared first on Casino News Daily. After the Prague iGamiing Affiliate Conference and the Minsk iGaming Affiliate Conference, both slated to take place later this month, Smile-Expo will next debut the Zurich iGaming Affiliate Conference, yet another premium event in its extensive portfolio. After its tumultuous passage, Switzerland’s new Money Gaming Act took effect on January 1, 2019. It legalized the provision of online gambling services on the territory of the country, but outlawed international gambling operators. Through seasoned industry experts, the Zurich iGaming Affiliate Conference will look to provide additional information about Switzerland’s new highly restrictive regulatory regime and how it would affect the iGaming and affiliate marketing sectors in the country. The first-ever Zurich iGaming Affiliate Conference will take place on June 20, 2019. The Swiss Federal Council is expected to issue the first online gambling licenses under the new regime by July 1, 2019, and event organizers have deemed it important to hold the event around that date. It is also important to note that July 1 will mark the enforcement of blocking measures that will shut the Switzerland’s doors to unlicensed foreign gambling operators attempting to service local gamblers. The Zurich iGaming Affiliate Conference will take place in the Swiss capital. Organizers are yet to announce the host venue for the event. Who will find the event useful? The conference is intended for casino operators, software manufacturers, game developers, and affiliates. 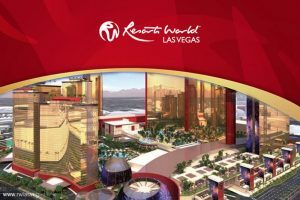 Organizers expect Swiss land-based casinos, betting shops, affiliate networks, payment solution providers, law firms, PR agencies, tech laboratories, and international iGaming companies to attend the inaugural edition of the event. Organizers are yet to reveal the names of the event’s speakers. + what are the newest promotional tools? Other topics to be discussed during the Zurich conference will include responsible gambling, implementing a successful affiliate strategy, and what future holds for blockchain in the online gambling industry. Speakers at one of the sessions will also draw a comparison between the newly reorganized Swiss gambling market and that of Belgium. Aside from the conference portion of the event, it will also feature a demo zone that will enable companies closely related to the iGaming and affiliate marketing sectors to exhibit their latest IT tools for online casinos, promotional solutions, and third-party services. As mentioned above, Smile-Expo is an international event organizer with more than 13 years of experience in holding B2B events focused on a number of industries. The company is also set to hold the Prague iGaming Affiliate Conference in the Czech capital on April 18, 2019 and the Minsk iGaming Affiliate Conference in the capital of Belarus on April 24, 2019. Head over to the official website of the Zurich iGaming Affiliate Conference to register for the event and find more information about its speakers and schedule. The post Smile-Expo Debuts Zurich iGaming Affiliate Conference This June appeared first on Casino News Daily.